The Cash Back travel platform (CBT) is created in alliance with Voyya. Together with key travel partners including Booking.com, Expedia and Europcar, CBT provides our clients with the best online rates combined with 100% compliant invoices to enable 100% VAT refunds. A triple win! We ensure perfect VAT compliant invoices on all your domestic and foreign bookings for hotels and car rentals – a truly unique feature compared to any other booking platform. With correct invoices and your bookings made through the Cash Back Travel portal, you are sure to get 100% of your recoverable VAT back. Through our partners Booking.com, Expedia, Europcar and others, we bring you the lowest prices and the best deals. 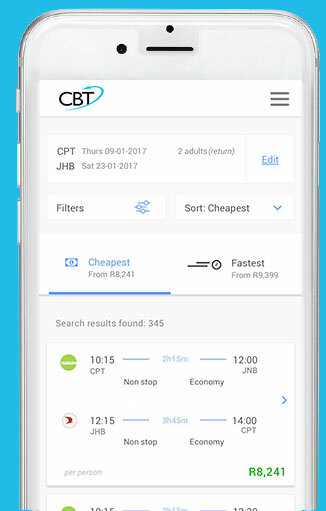 CBT gives you everything you need to book and manage your business travels in one tool. It’s really easy to use and it’s absolutely free forever. Analyze your corporate travel costs, oversee your employees’ business travel and get insight into the company’s total travel activities. Say goodbye to hunting down invoices from multiple providers. Invoices for all the corporate travel bookings in CBT are consolidated in one place. You get VAT compliant invoices for all your corporate travel bookings to guarantee full VAT recovery on eligible expenses. All invoices with eligible VAT are identified and you can follow the foreign VAT paid back to you. 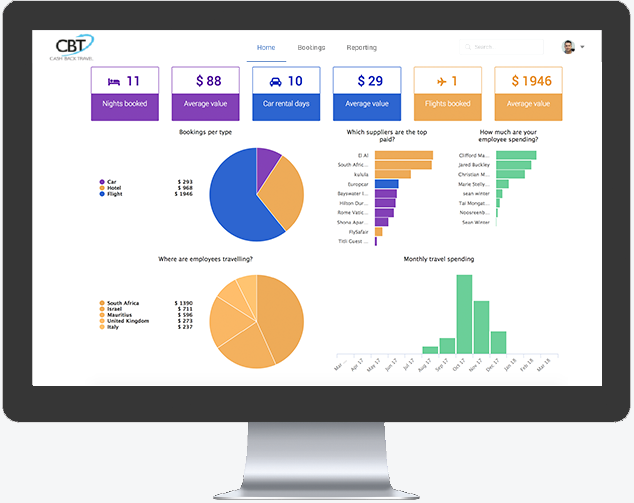 Find out how the CBT booking platform can help you save on business travel costs, get insights into your corporate travel spend and get up to 100% VAT back on eligible travel expenses.